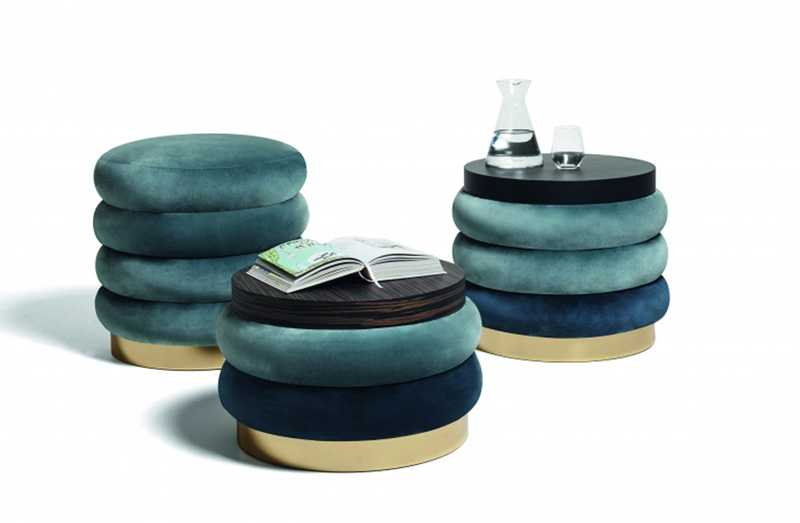 Ottoman / side table available to order in numerous sizes with top surface in fabric, wood, or marble and base in brass. Base: Walnut, ebony, or black lacquered wood. Polished brass. Top: Upholstered. Walnut, ebony, or black polished wood. Emperador, carrara white, marquina black, breccia medicea, calacatta gold, or ebony marble.